Cats are special members of our family and deserve the best we can give them. Feline diets are filled with preservatives and chemicals that can lead to illness. EnviroMin Cat provides daily defense and wellness because cats are family too! Cats Are Family. . . So give them the best protection available; EnviroMin Cat with Phyto Minerals to strengthen immunity and Zeolite to remove toxins that can lead to digestive disorders and illness. Glossy coats, rich color, and glowing health are just a few of the benefits of plant sourced, naturally balanced trace minerals. The modern feline diet is filled with chemical preservatives, fillers, additives, and questionable ingredients. Toxin Overload and buildup in the body can lead to common issues such as allergies, itchy skin, diarrhea, and inflammation. EnviroMin Cat provides a "Gently Daily Detox" to protect from these common issues. Our Phytolithic Minerals fill in the gaps for daily health and protection. 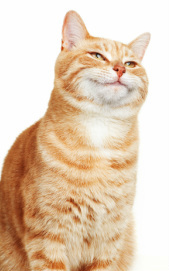 Its easy to use, affordable, and works well with all types of cat food; dry, canned, and raw food diets. Safe for kittens, pregnant females, weak cats, and senior cats. Senior cats especially need EnviroMin Cat to support their heart, bones, and joints. Watch them get their happy energy back as their digestion, immune system, and longevity builders improve. Glossy coat, healthy teeth and gums are a few of the bonus "side effects" of EnviroMin Cat for daily health. 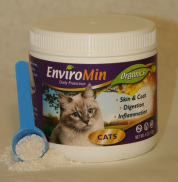 "Cats are family", so EnviroMin ingredients are always organic, human grade, triple tested, and sourced only in the USA. Our daily wellness formula provides essential minerals and a gentle Daily Detox. Stirs easily into wet food or can be added to daily drinking water. Excellent mineral component for homemade or raw food diets. Find out why informed cat lovers have trusted EnviroMin to keep their cats healthy and happy for over a decade! Click here to find out how to use EnviroMin Cat Daily for long lasting results. Our many loyal customers asked for a large, money saving refill size box! Refill your jars for a year. Inside the food grade liner you get 1440 servings, a scoop, and complete serving instructions. 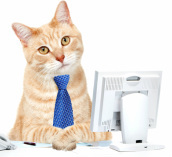 Saves money and shipping costs for our Multi-Cat families, Rescue Shelters, and Breeders. Follow us on Facebook and get discounts, deals, and coupons! Join us for Pinterest fun and get secret specials. Email us a photo and your testimonial and we will send you free EnviroMin Cat! 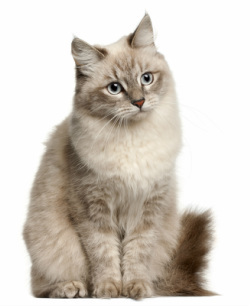 Send us a photo of your Fur Kids, if we use it on our website we will send you a free EnviroMin Cat. Send us a testimonial and a photo and we will send you a free EnviroMin Cat. MEEEOW!